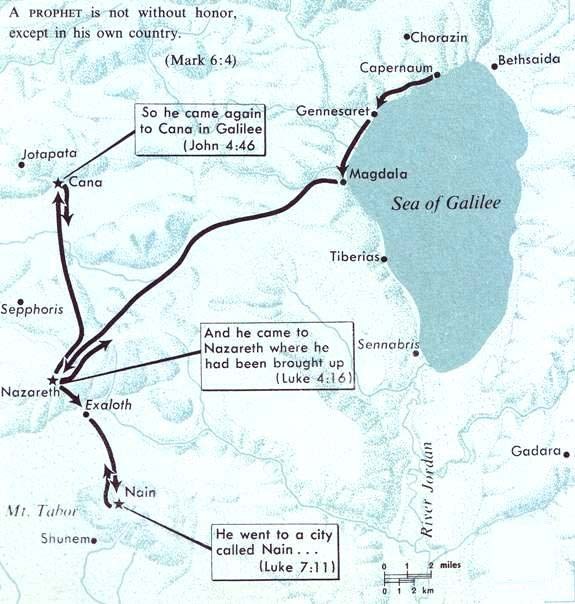 Mark 6:1-6 inserts, within the story of Jesus’ teaching around the Sea of Galilee, an episode of a visit to Nazareth. Jesus preached in the synagogue there, but was rejected by his fellow townspeople who refused to believe that ‘the carpenter’ was an inspired prophet. In Matthew 13:53-58 the episode is placed in the same context, though Jesus is here called ‘the carpenter’s son’. Luke on the other hand (4:16-30) places the incident at the very beginning of Jesus’ ministry. The gospel story records that the townspeople of Nazareth attempted to throw Jesus from a cliff near the town. The terrain shown above is said to be where this happened. It is in connection with this visit to Nazareth that we may perhaps place Jesus’ second visit to Cana, during which, according to John 4:46, he healed the son of an ‘official’ the orginal Greek has ‘basilikos’, the king’s man. Cana was situated at the border of the plain of Asochis, where there were royal estates. The king’s man was probably the royal steward administering this domain. During another of Jesus’ visits in the neighborhood, he healed the widow’s son at Nain (Luke 7:11-17). 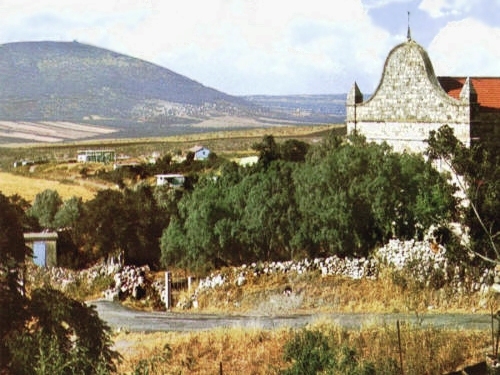 Although called ‘a city’, Nain was more like a small walled town five miles southeast of Nazareth. 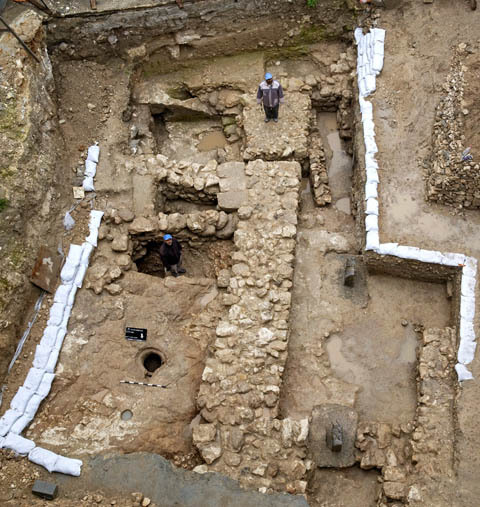 Situated on a hilly slope, it had a gate and wall, which made it one up on surrounding villages. In later times Nain was the capital of a separate district. Remains of a Roman-era cemetery are still visible in the rocky area by the side of the road leading from Nain to the Via Maris (see photograph below). 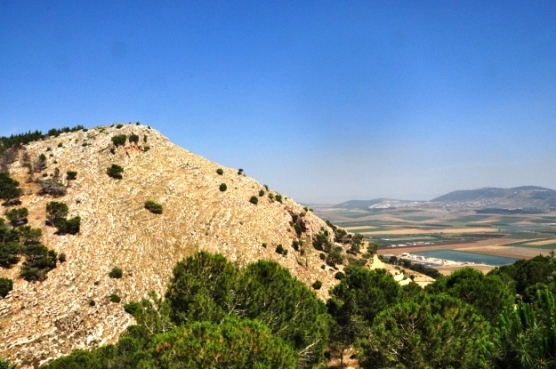 The site of ancient Nain, with Mount Tabor in the distance. Deborah and Jezebel were familiar with this area.